In 2011, Steve Hagerdorn came to the Catholic Foundation to serve as Chief Operating Officer. Over the past 15 years, Steve has provided financial leadership within nonprofit organizations in central Ohio, focusing on making wise use of limited resources to provide the most opportunities for individuals supported by those organizations. Prior to joining the Foundation, Steve provided strategic financial and business leadership, including the development of new support services, while serving as Vice President of Finance with the Association for the Developmentally Disabled (Add) in Columbus. Steve has also served in finance and accounting with Volunteers of America in central Ohio. With a background in financial operations and strategic planning as well as experience and education in the nonprofit sector, Steve works to ensure efficiency in operations while always focusing on the mission of the organization. Prior to working in the nonprofit world, Steve worked in corporate accounting at Nationwide Insurance. 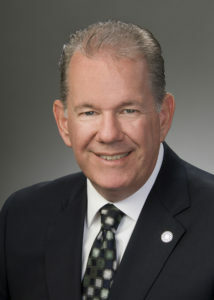 Steve received his Bachelors of Accounting degree from Case Western Reserve University and graduated with honors with his Masters degree in Nonprofit Management from Regis University. Steve’s community work includes serving in the worship and vacation bible school ministries at Journey Church of Columbus as well as coaching youth soccer. Steve and his wife Elise have four children whom they homeschool. Steve and his family worship at Journey Church of Columbus.